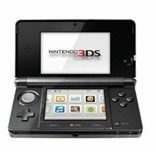 Today Nintendo released a statement outlining a number of new games that are coming out in 2012 for the Nintendo 3 DS and the Nintendo Wii. The timing of Nintendo’s statement may have been an attempt to step on the toes of today’s launch of the Sony’s PlayStation Vita. The games that Nintendo said they would be releasing this year includes ‘The Last Story’, which will be for the Wii. ‘The Last Story’ has been popular in Europe and Australia, where it has already been released. A firm launch date was not provided. ‘Xenoblade Chronicles’ is another Wii game that has already been released in those two countries too. It will arrive in the US on April 2, according to Nintendo. Also for the Wii, ‘PokéPark 2’ and ‘Wonders Beyond’ will be released on February. 27. ‘Mario Party 9′ will be released on March 11. For the Nintendo 3DS, there will be ‘Mario Tennis Open’, with a release date of May 20. On March 23, ‘Kid Icarus: Uprising’ will be launched. Very fittingly, ‘Spirit Camera: The Cursed Memoir’ will be released on Friday, the 13th of April. ‘Dillon’s Rolling Western’ was released today.